Shibuya is a famous district in Tokyo. 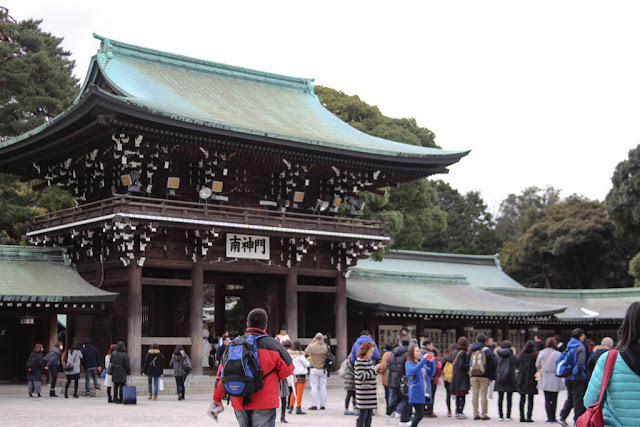 With the presence of multiple tourist spots (e.g. 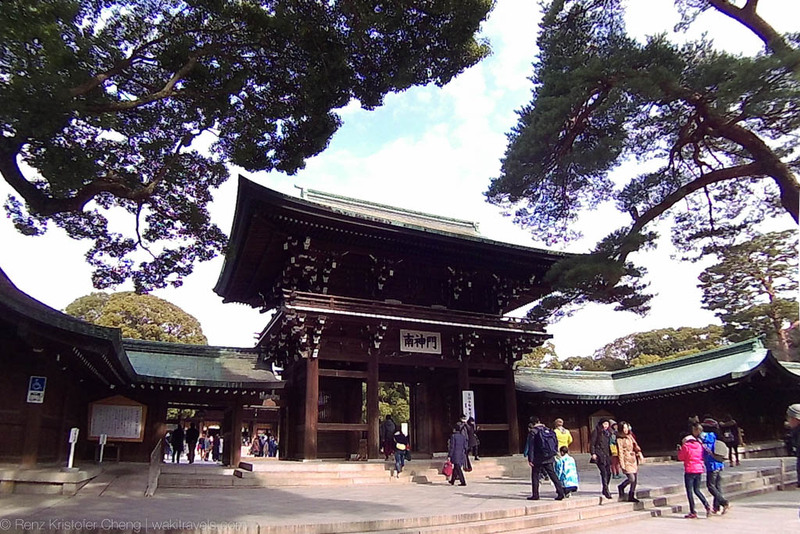 shrines, statues and etc. ), booming shopping scene and exciting food shops, Shibuya surely is a must-visit place when you visit Japan. After spending 3 days in Osaka, I rode a Willer Express night bus to Tokyo to spend another 5 days. The trip took about 9 hours, and it was definitely a long tiring ride. If in case you are considering to take the night bus as well, I suggest that you really bring a small pillow, an eye mask and other things that will provide you comfort. If not for the fact that I was on a budget, I could have taken the Shinkansen instead. The night bus stopped in Shinjuku, and from there I took a 25-minute long walk going to Shibuya. 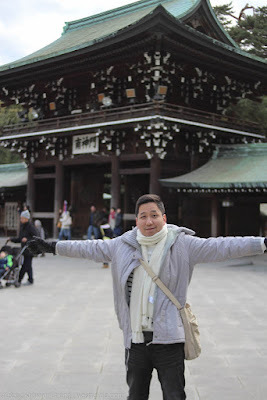 Since it was still early by the time I arrived in Tokyo, I decided to check out a tourist spot. I did a quick a look at Google Maps and saw that the nearest park is Meiji Jingu. That's when I started my walkathon going to this destination. 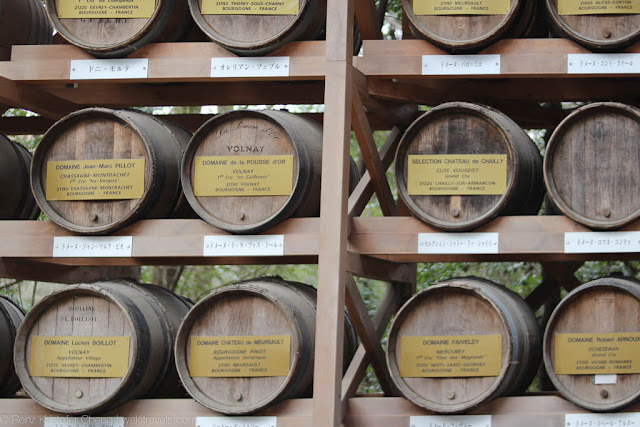 If you are planning to visit Meiji Jingu, you may want to check out this part of the park where the wines used in the Meiji Shrine are consecrated. 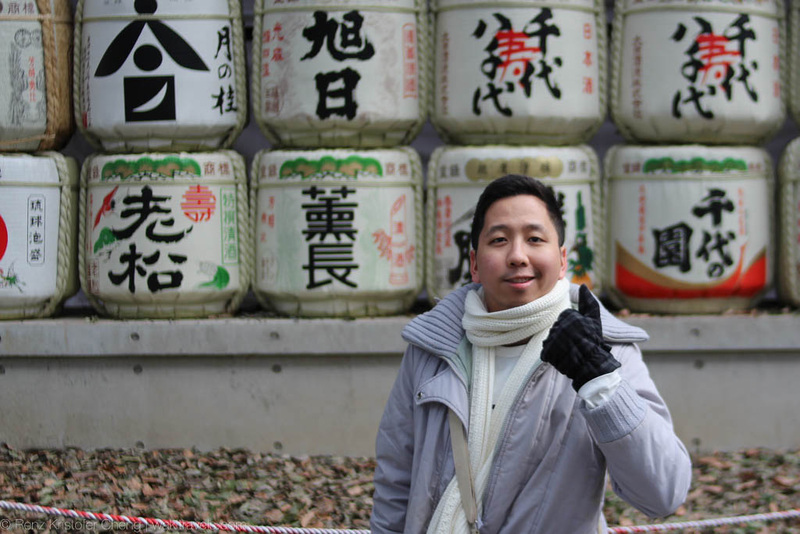 You'll also find here colorful vase-like containers where you can find fellow tourists taking photos with. 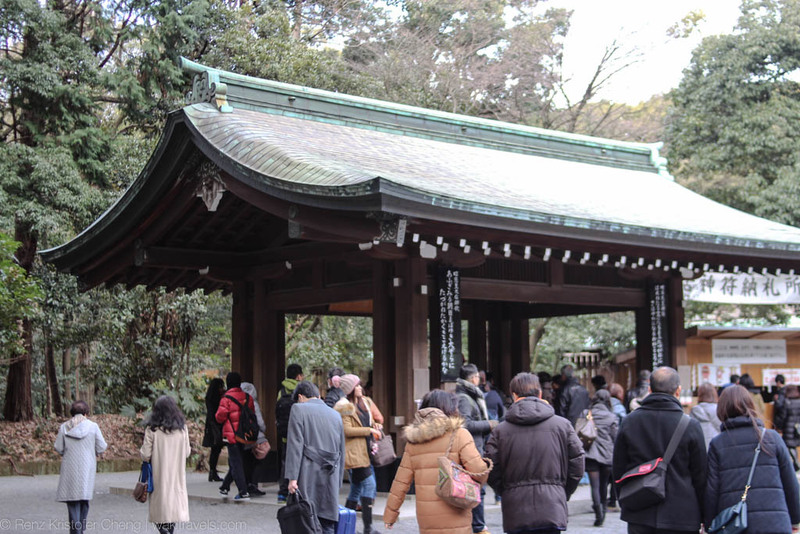 It's fairly easy to navigate your way here in Meiji Jingu because you'll often find huge pack of people going to this direction (as seen in the photo above). Given that Meiji Jingu is a park, you'll catch a glimpse of a refreshing scenery. 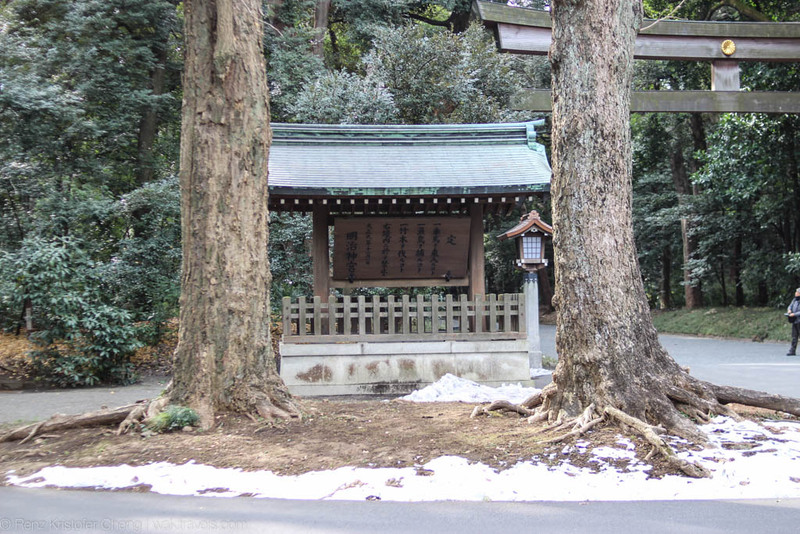 The entire vicinity is a tranquil place to just breathe in and relax. 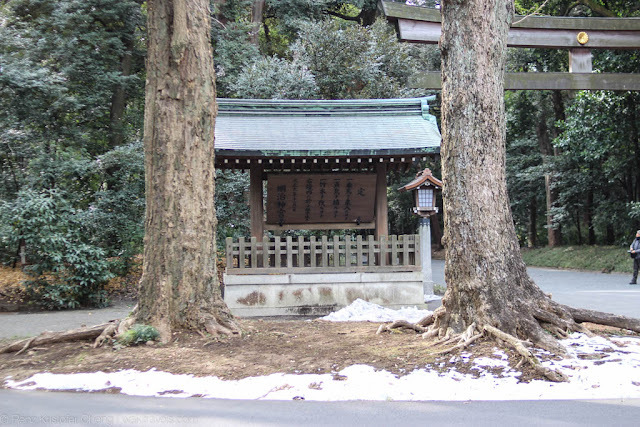 It's actual a good place to do some meditation walking. 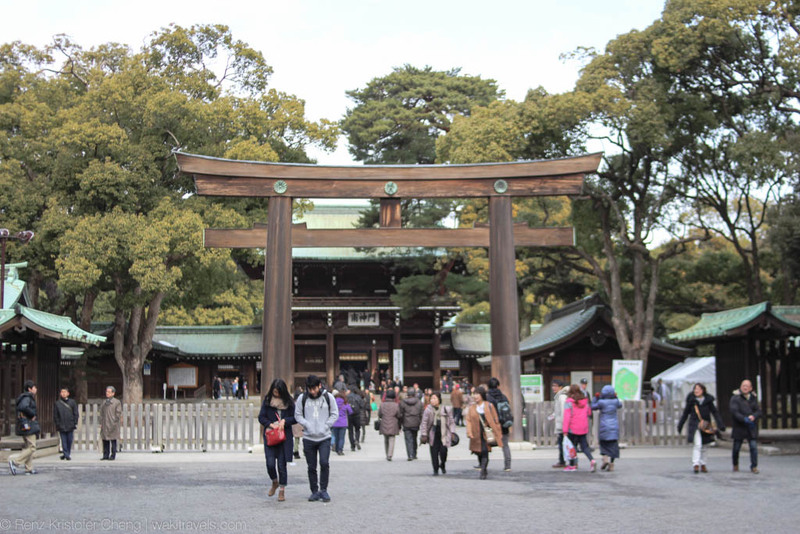 There's also a shrine inside Meiji Jingu which is another reason why tourists are flocking in this destination. 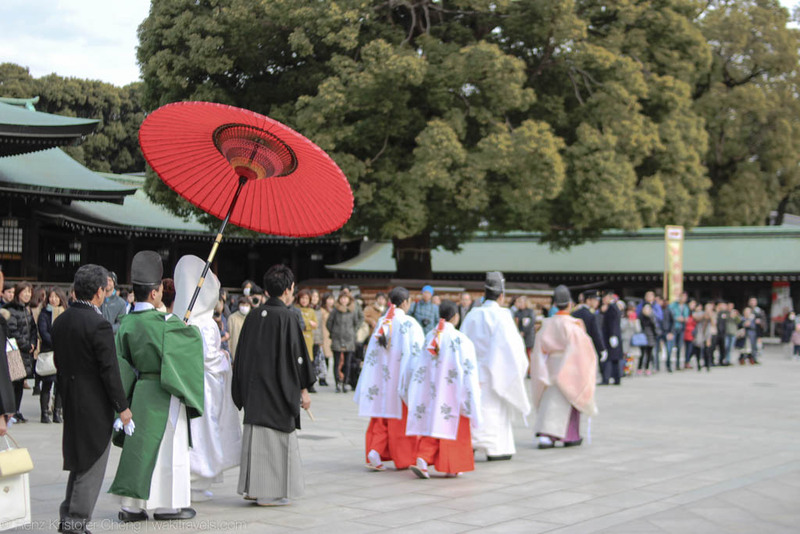 If you get lucky (like I did), you'll get to witness part of a traditional Japanese wedding within the shrine grounds. It was cultural bliss! Now, if in case you are not much into nature and culture, Shibuya still got you covered with its ultimate shopping scene. Shibuya is undoubtedly a paradise for those who love to shop. You'll find here stores catering to almost the entire market spectrum. There are high-end shops to purchase your luxury goods, and discount shops to maximize your budget. Window-shopping becomes interesting here in Shibuya, since there are store in every corner. 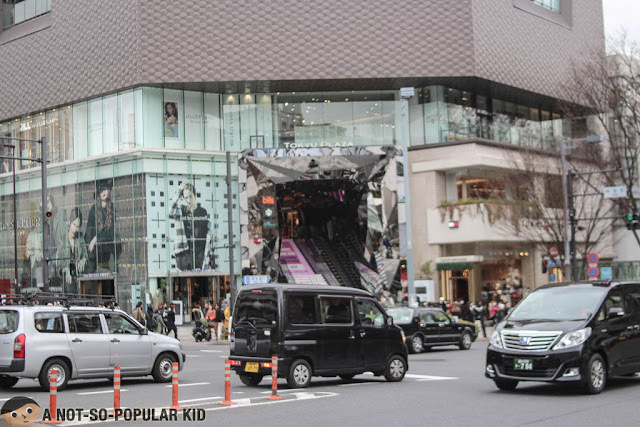 Below is a photo of Tokyu Plaza's futuristic facade. It's like you are going to be swallowed by some vortex. 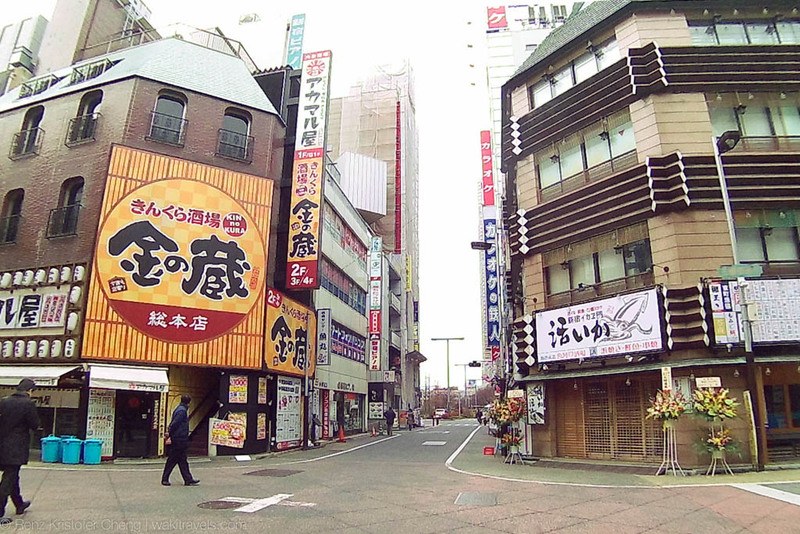 Anyway, it's also within this area where you can find numerous shops in a single stretch. When you start getting tired checking tourist spots and/or shopping centers, you may want to stop by the food stores spread across the district. Go traditional with this restaurant called Harajuku Gyozaro (read more). 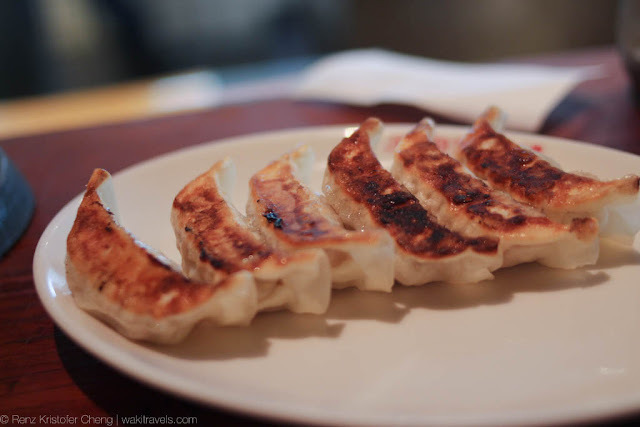 It's extremely popular for its authentic high-quality gyoza. In fact, it may be the best gyoza you'll ever taste! 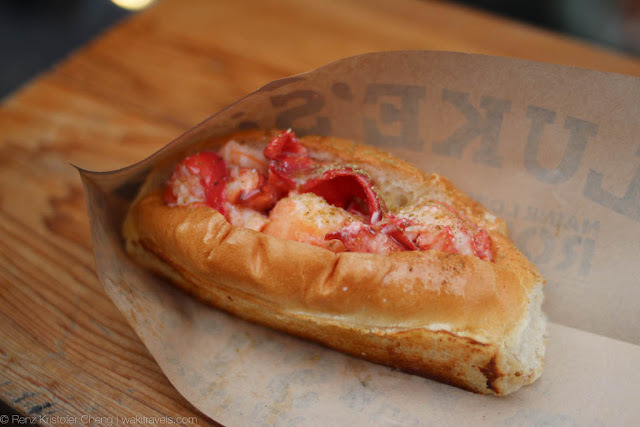 Other cuisines are available as well, such as this place called Luke's Lobster (read more) serving lobster roll. 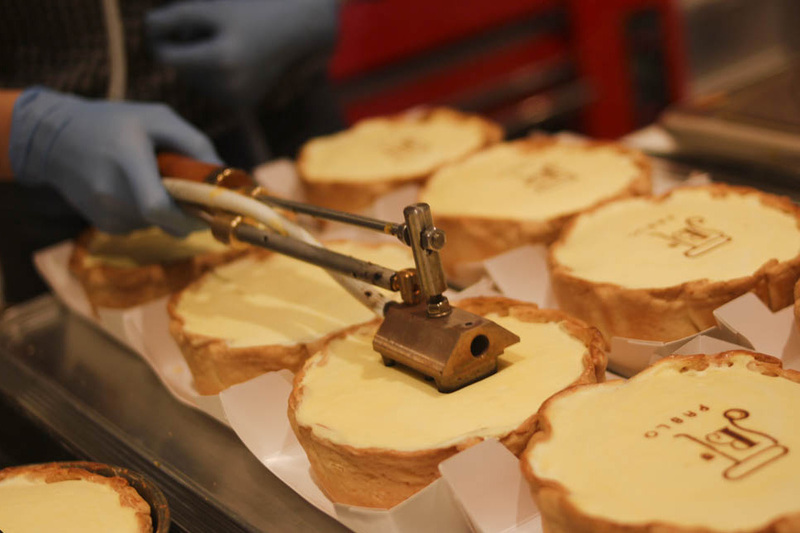 Of course, you shouldn't miss trying out one of the world-famous cheesecake of Japan - Pablo's! 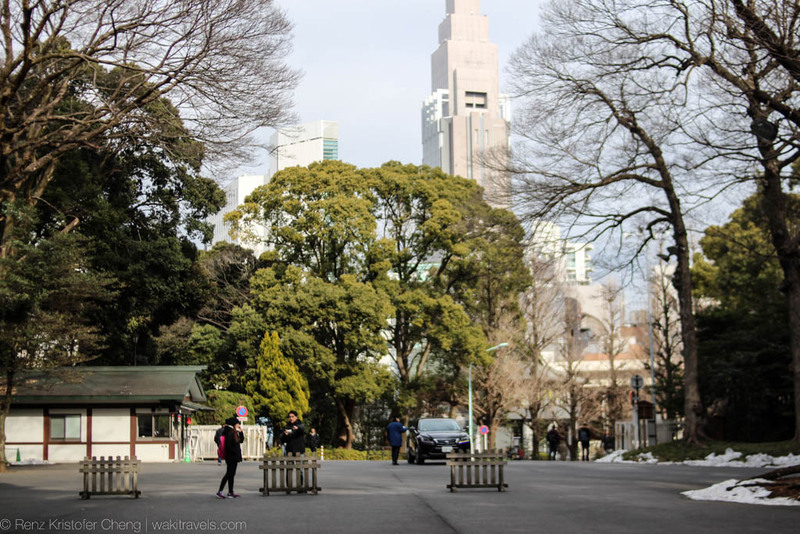 For a comprehensive guide in finding accommodation in Tokyo, check out this blog on Where to Stay in Tokyo: Shibuya or Shinjuku by HotelsCombined. 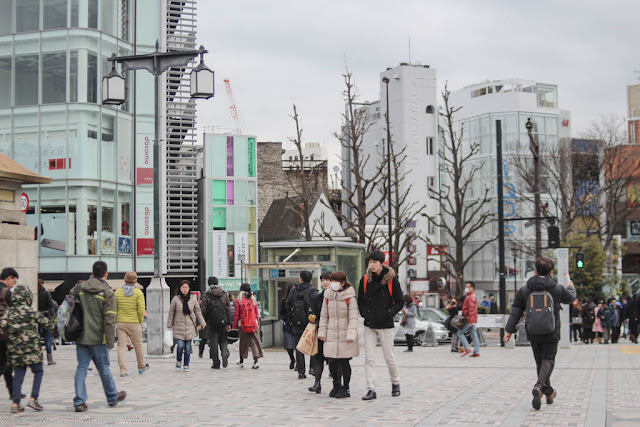 Things to see/do: Shop around with its well-diverse shops since Shibuya is a known shopping district. 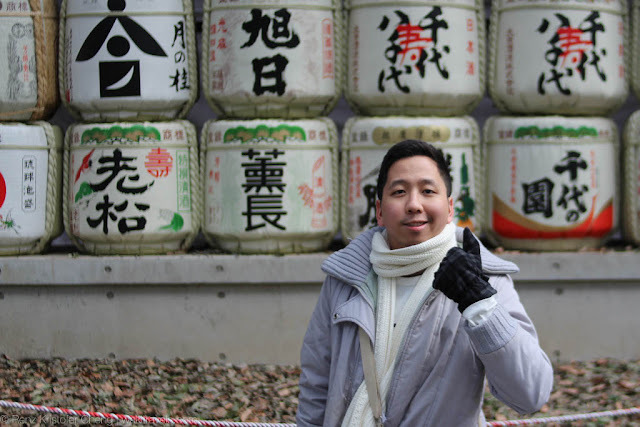 Have an exciting food tour with its culturally rich restaurants. 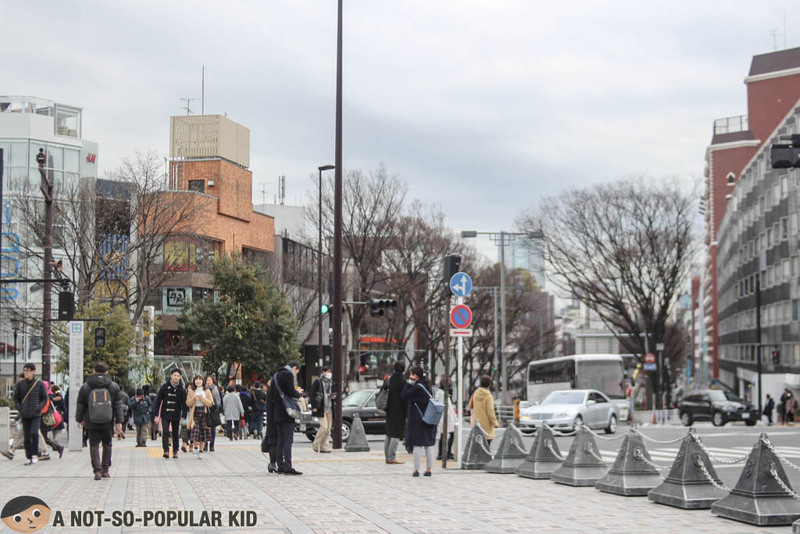 Visit the famous Shibuya Crossing and Hachiko the Dog Statue. Is it wander-worthy? Yes. 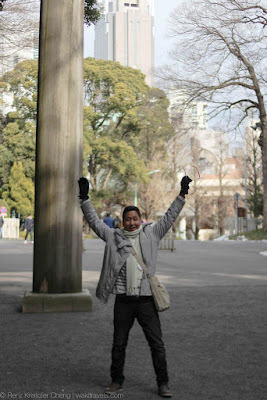 Although I wasn't able to check the Hachiko Statue, the places I've been to are very interesting to see. It's also fascinating to experience the "rush" of people in the famous crossing. Also, the shopping scene is very exciting for those who are into this stuff. How to get there: Various parts of Tokyo are very much accessible through the train. Also, Google Maps has high accuracy, so you may want to utilize that one up, like I did.